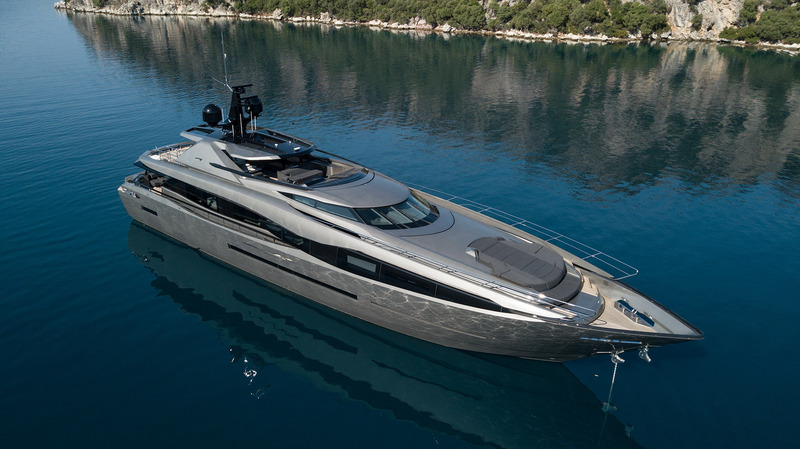 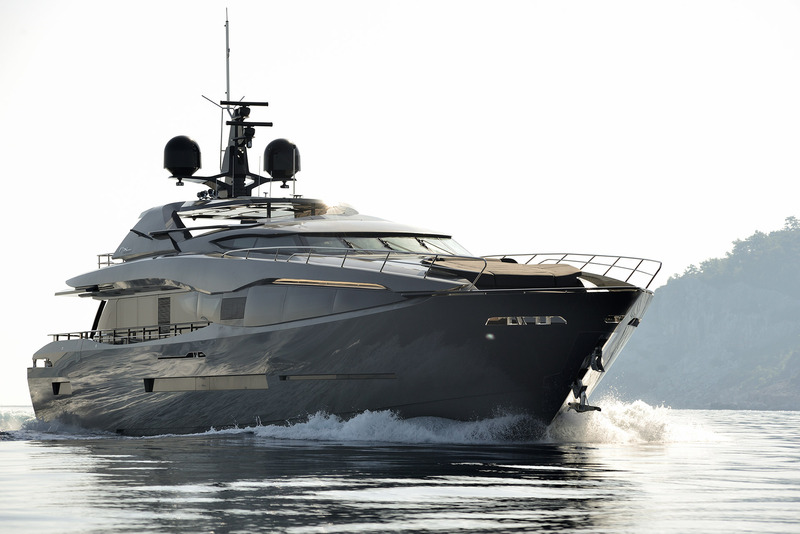 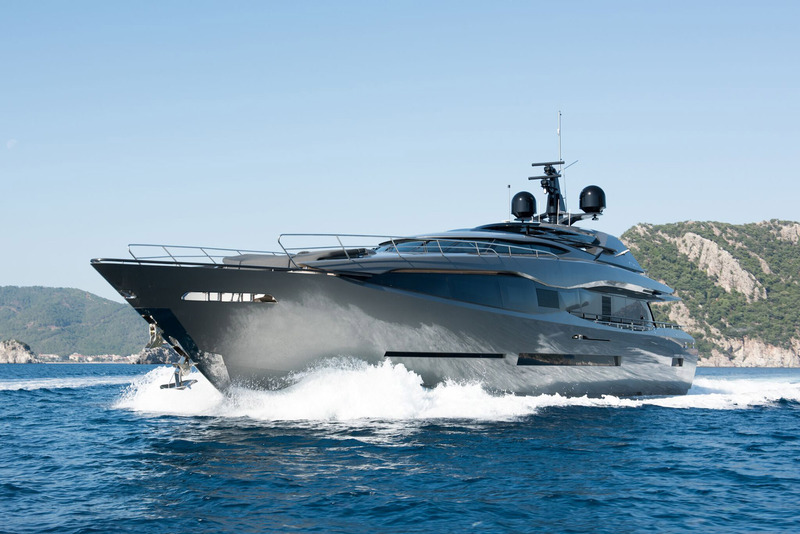 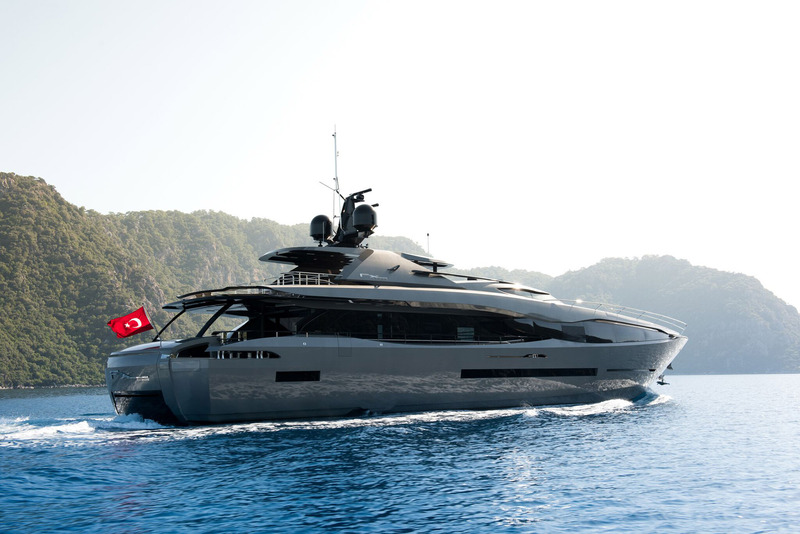 Built by Peri Yachts in 2016 with naval architecture from Mulder Design, 38m/125ft superyacht FX is comprised of a composite hull and superstructure with a sturdy and sporty appearance. 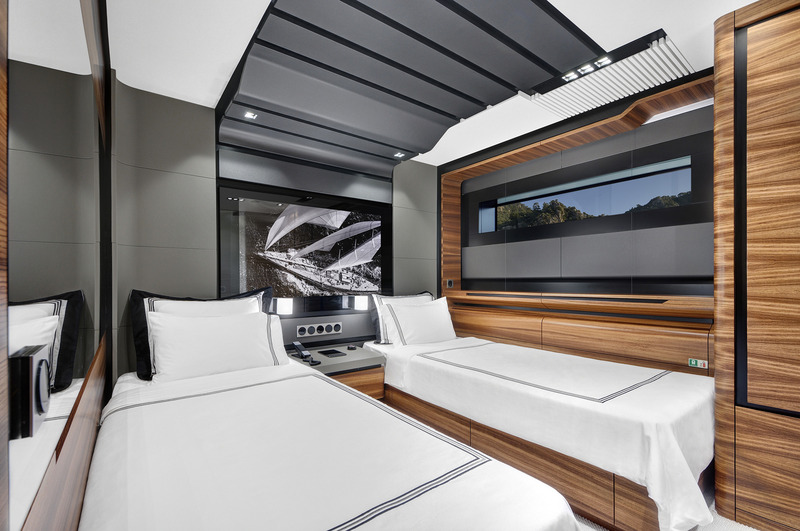 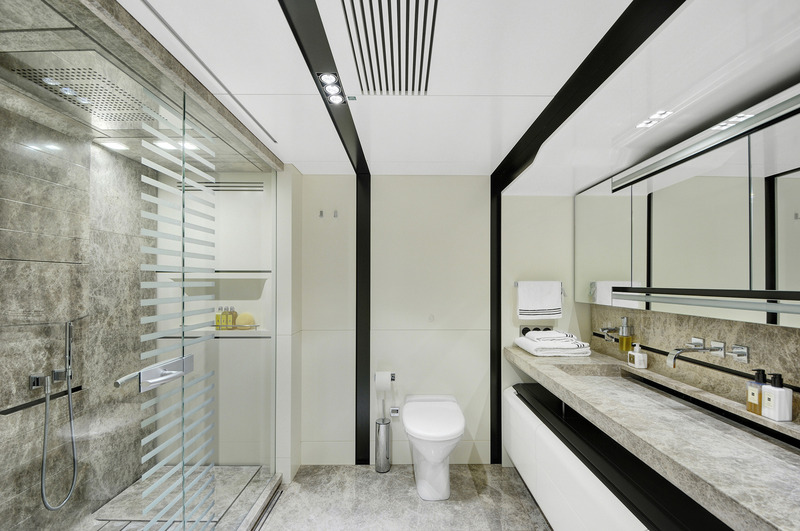 The interiors use a light grey and white colour scheme with accommodation to sleep a maximum of 10 guests over five large en-suite cabins. 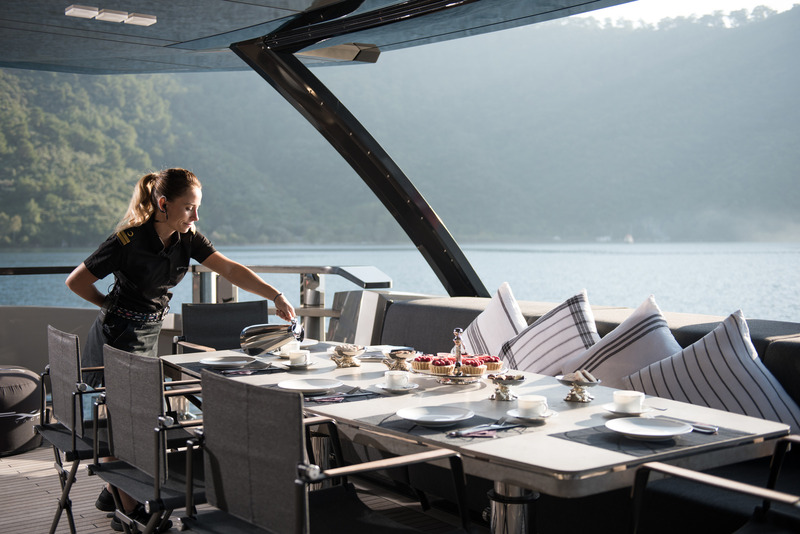 From the lower deck swim platform, guests can access the main deck aft, where the expansive deck is shaded by the flybridge overhang and provides a stern sofa, raised table and additional fold-able chairs for casual alfresco dining. 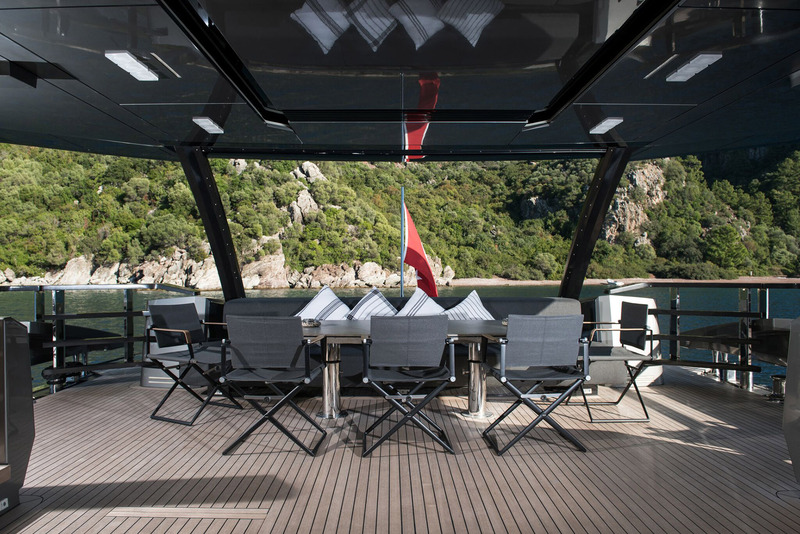 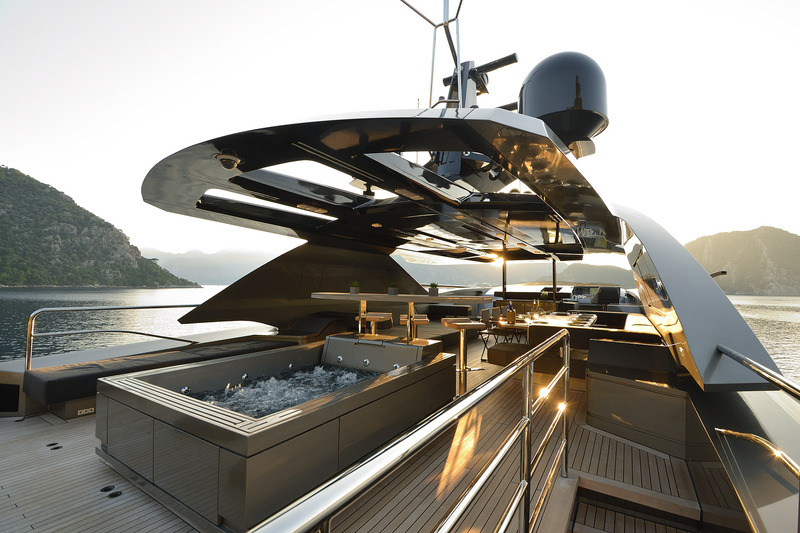 A wide sun pad covers the foredeck so that the group can sunbathe together and admire the uninterrupted views. 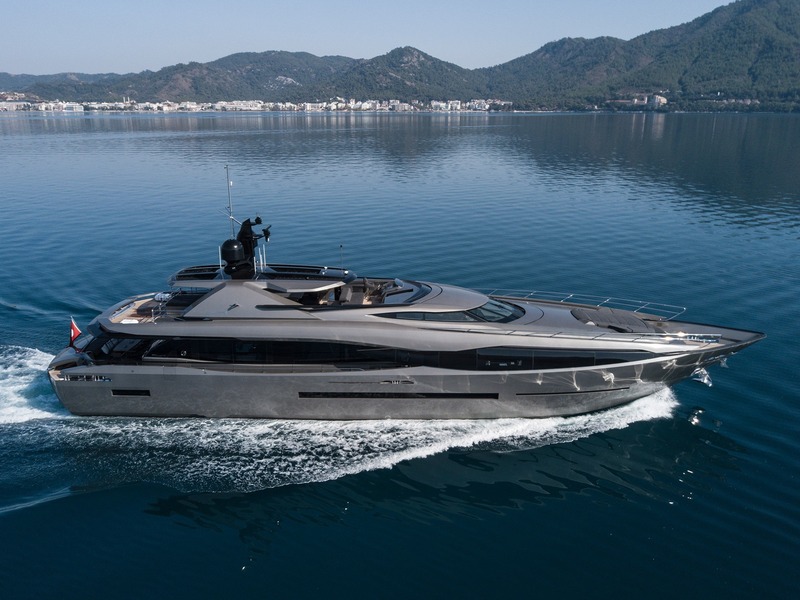 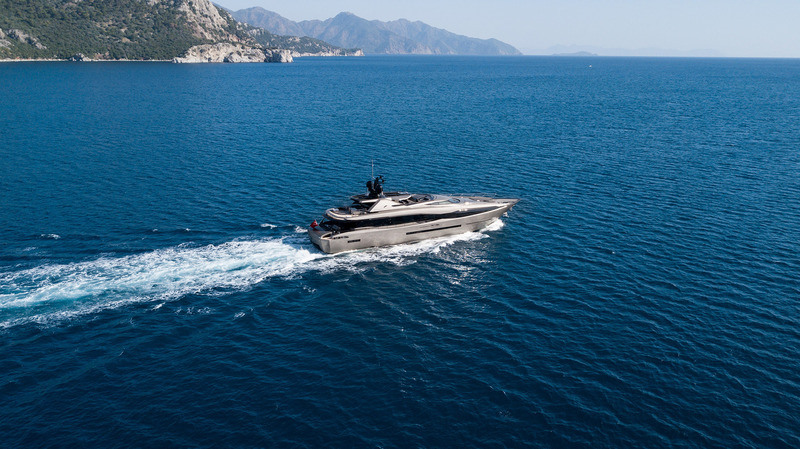 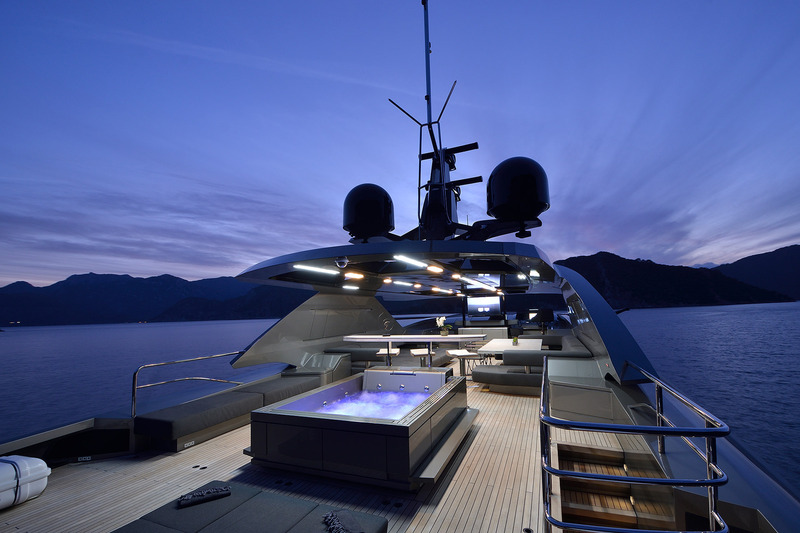 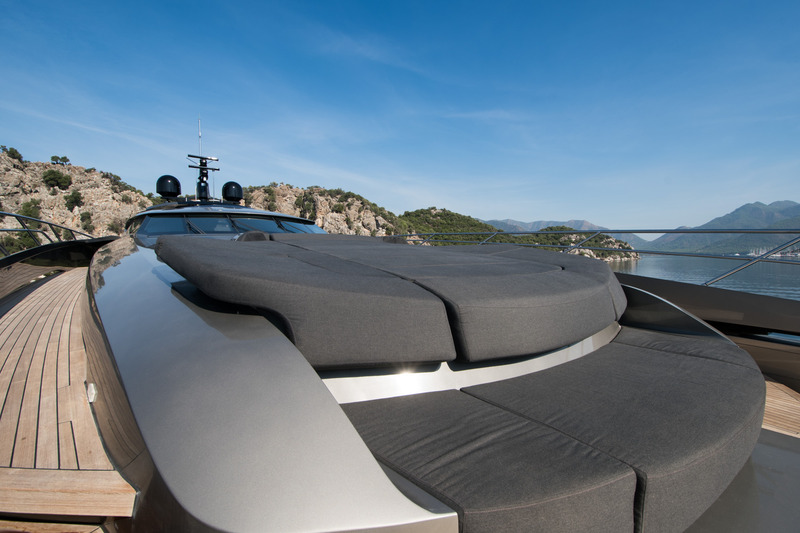 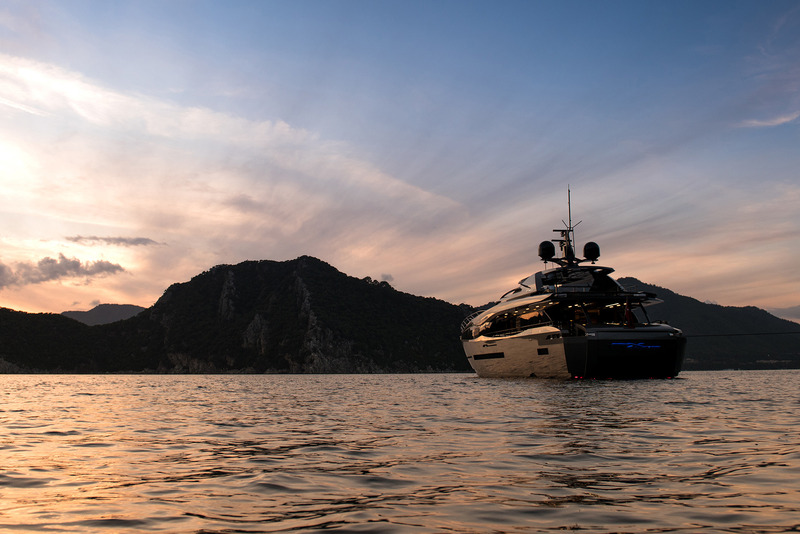 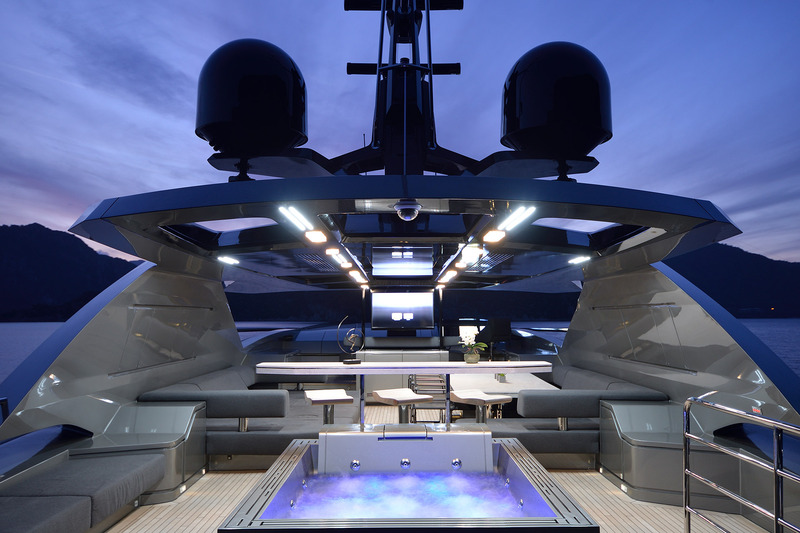 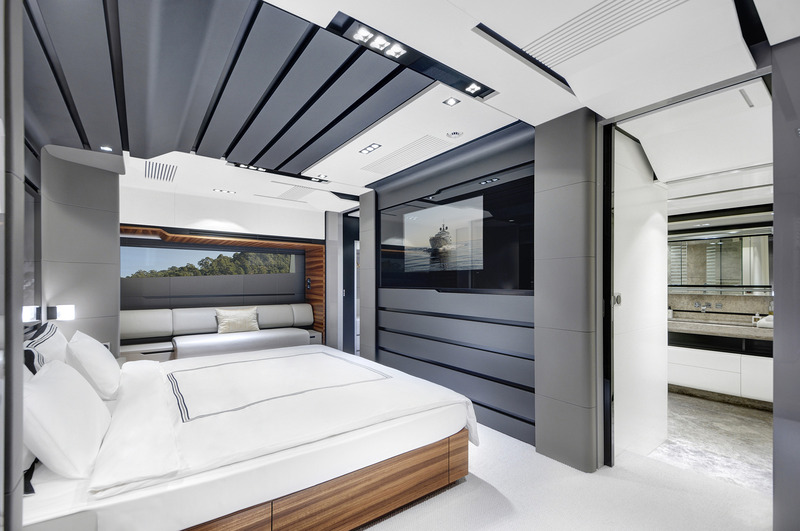 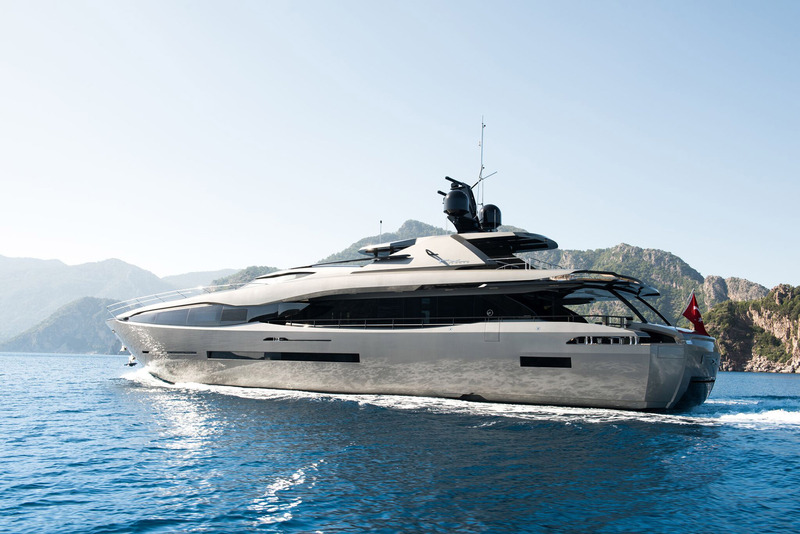 Upon the flybridge, the aft section is left clear for sun pads or sun loungers and a Jacuzzi is placed near the shade of the hardtop, where there is a comfortable lounge for alfresco dining and outdoor living. 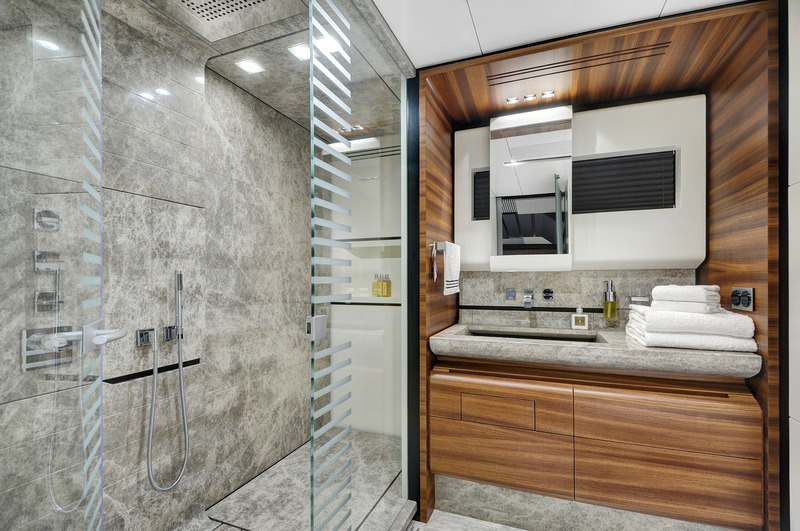 Forward, the wet bar has a great selection of drinks to keep guests refreshed throughout the day. 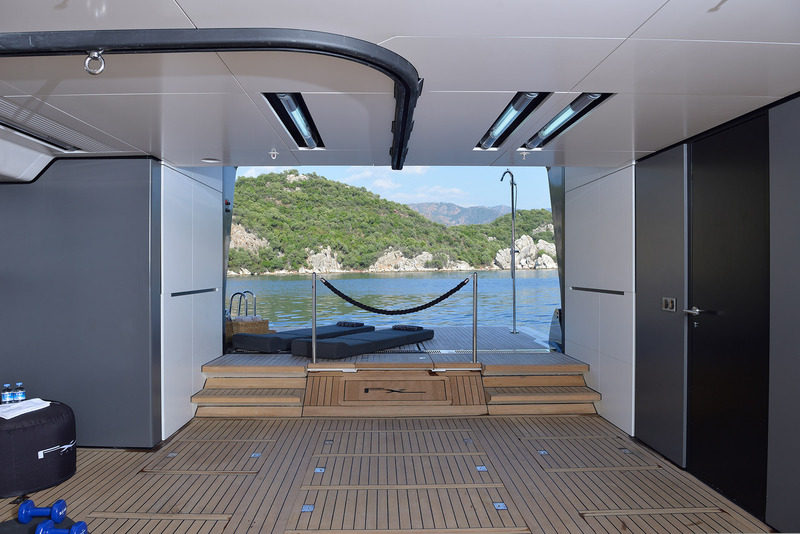 The lower deck stern contains a spacious beach club gym and the transom door folds down to create a large swim platform. 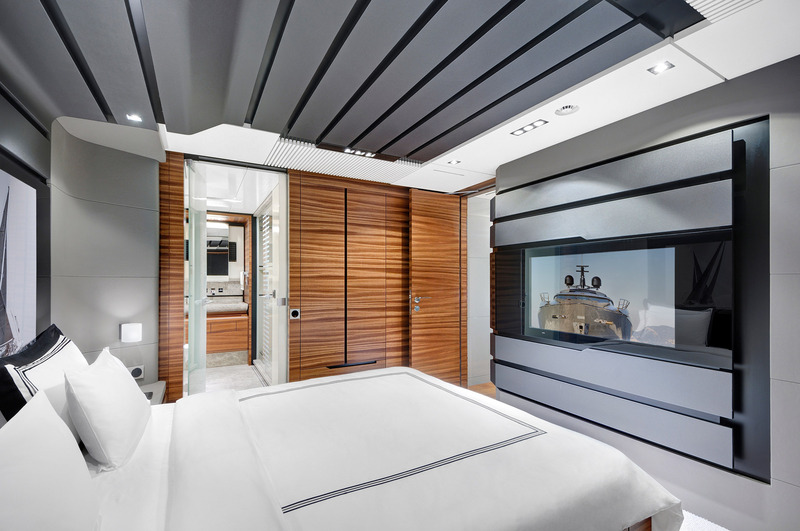 Behind the beach club is the engine room, with the crew accommodation placed within the bow and the guest accommodation amidships. 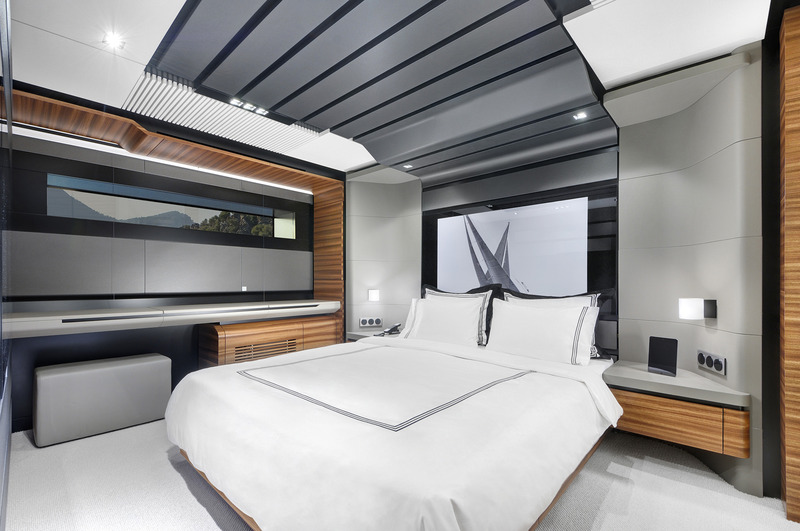 Here, two VIP staterooms, one double cabin and a twin cabin provide en-suite facilities and a comfortable night's rest for overnight guests. 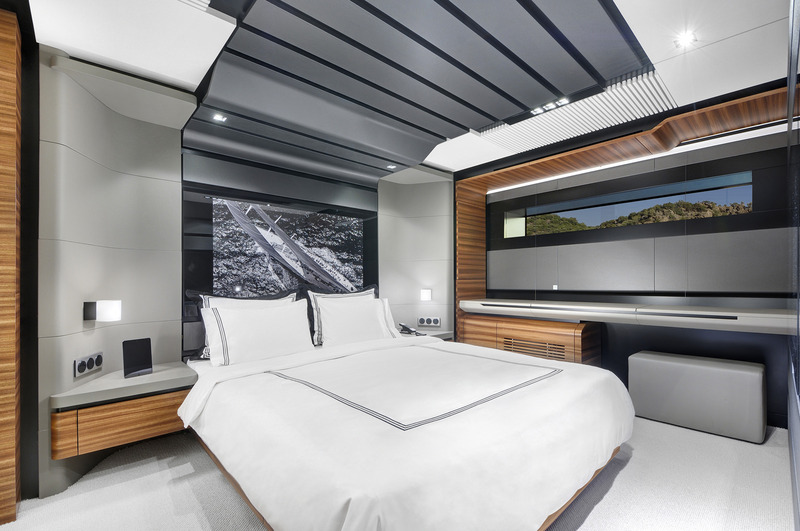 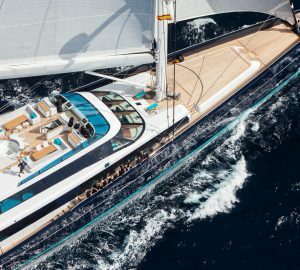 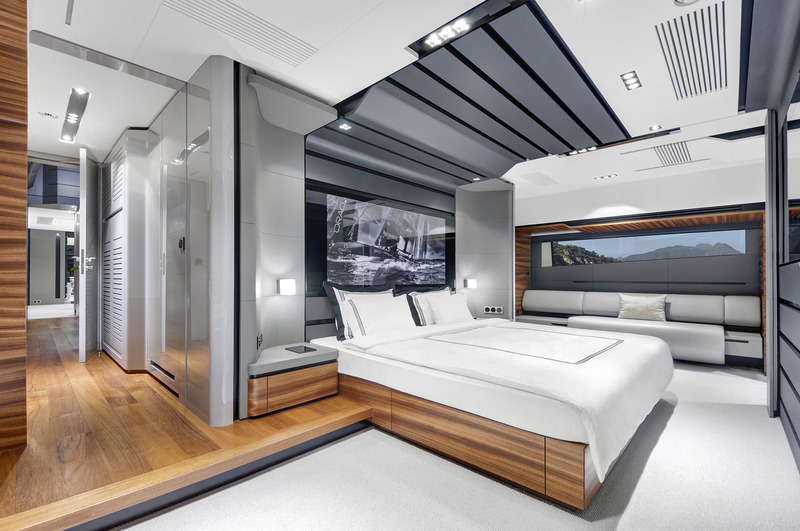 The main deck forward hosts the full-beam Master suite, which has a bay window sofa, a widescreen TV in front of the bed and a private study as well as a large and brightly-lit bathroom. 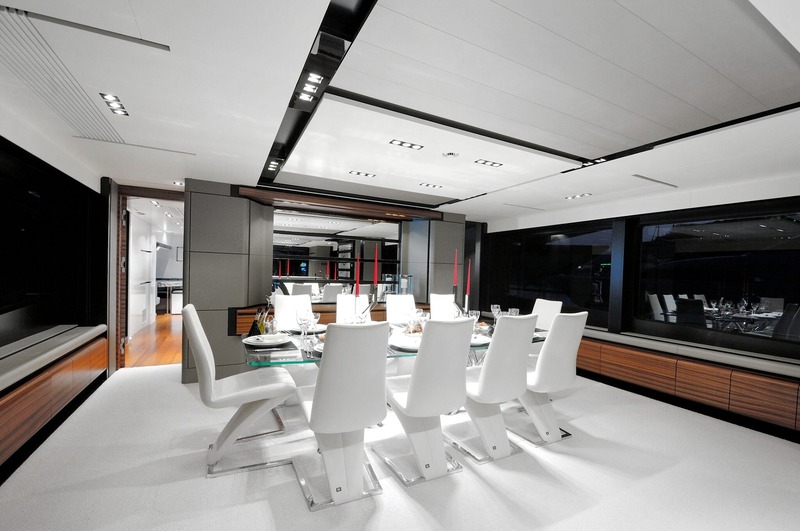 Behind, the formal dining area and salon are combined into one large room, with the dinner table placed forward and seating up to 10 guests in minimalist surroundings. 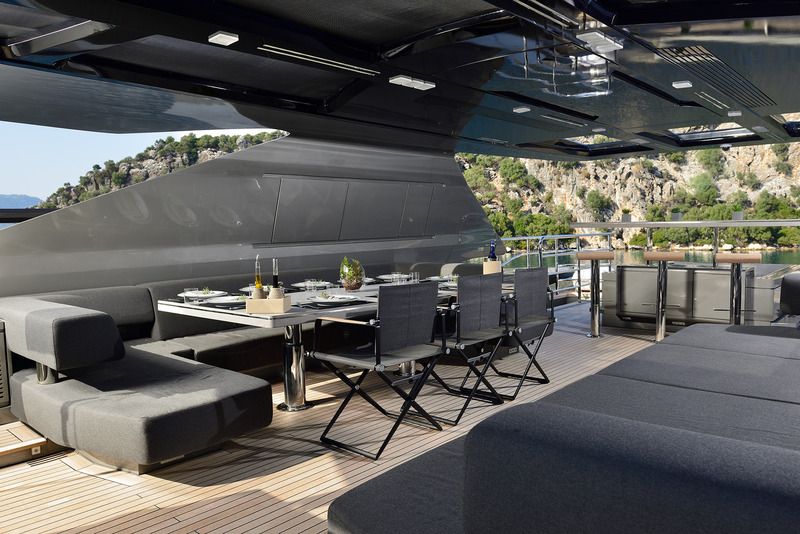 The salon consists of two sofas and two armchairs around a coffee table, and benefits from wide windows running the length of the port and starboard sides to make an inviting air-conditioned relaxation area for children and adults alike. 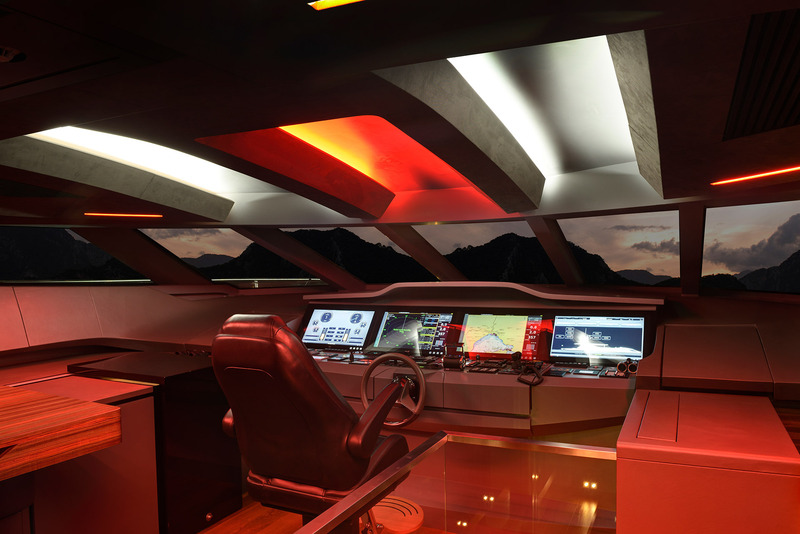 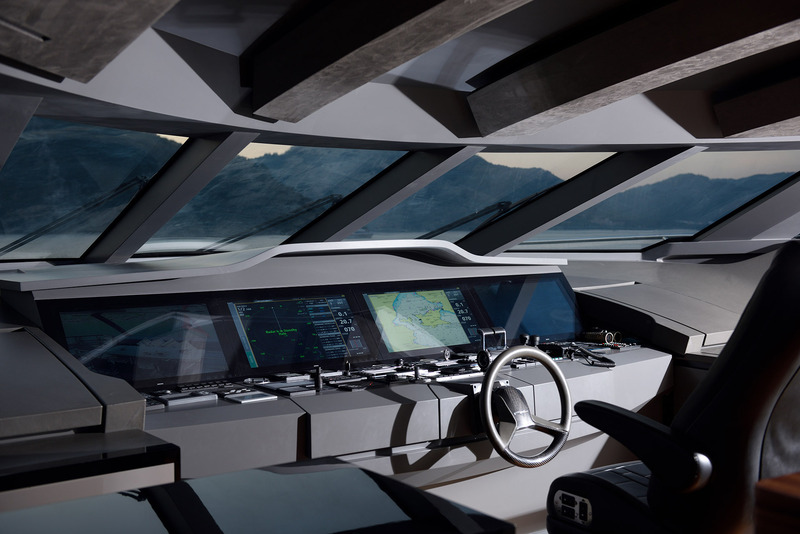 A pair of MTU 2650 HP 16V2000 Series M93 engines provide a cruising speed of 20 knots and a top speed of 24 knots. 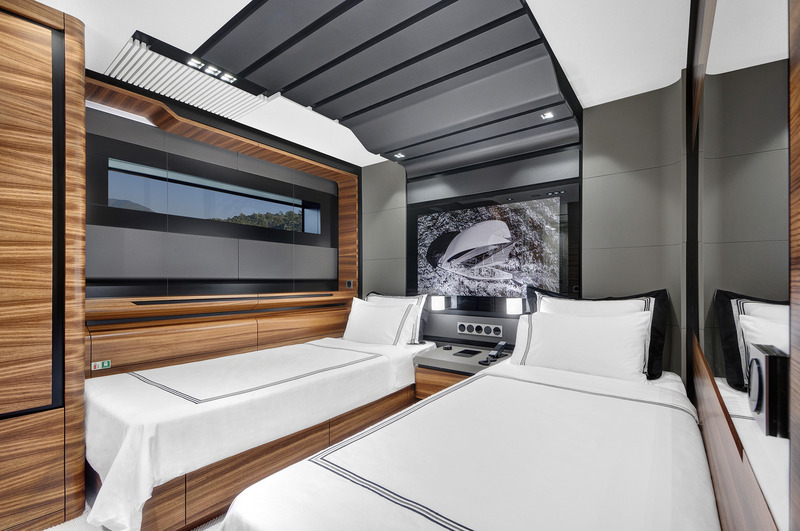 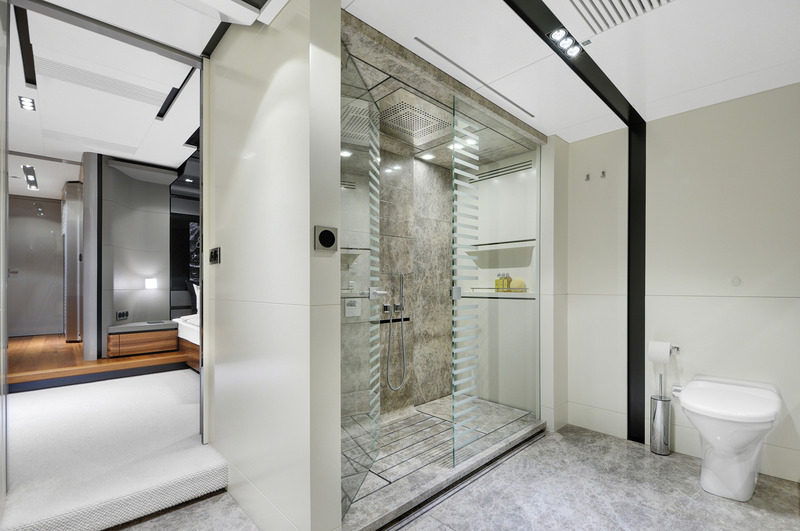 The accommodation provides for 10 guests over 5 lavish en-suite cabins: 1 Master suite, 2 VIP staterooms, 1 double cabin and 1 twin cabin. 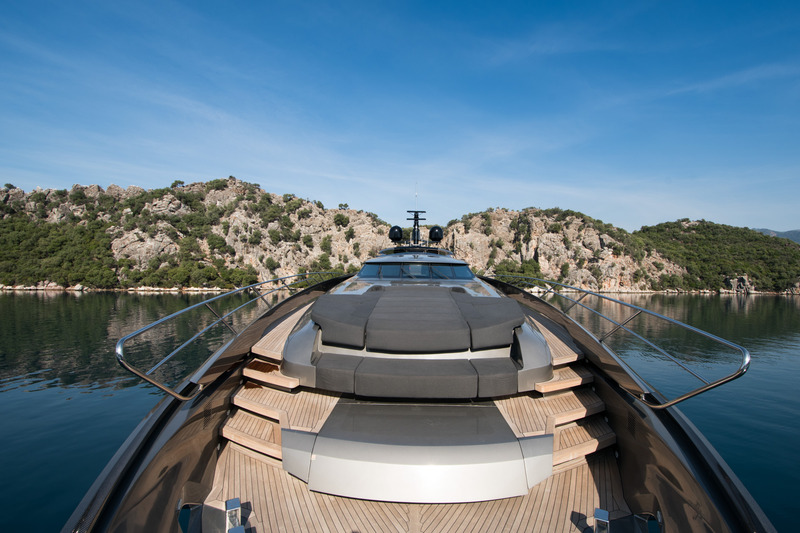 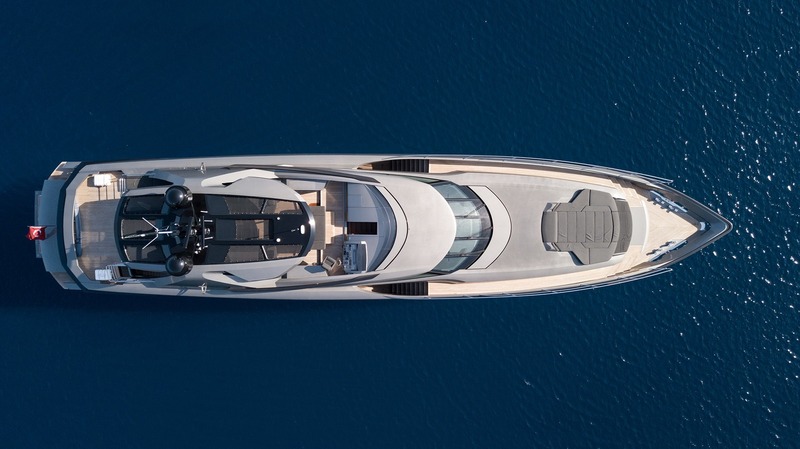 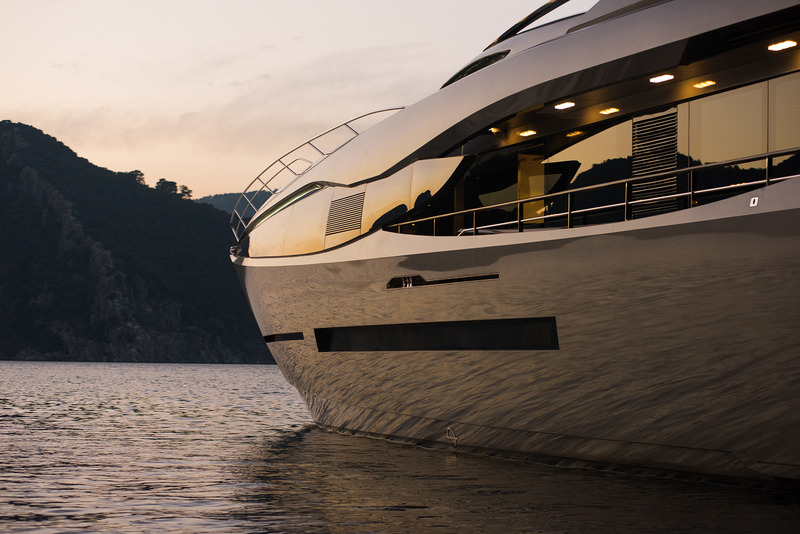 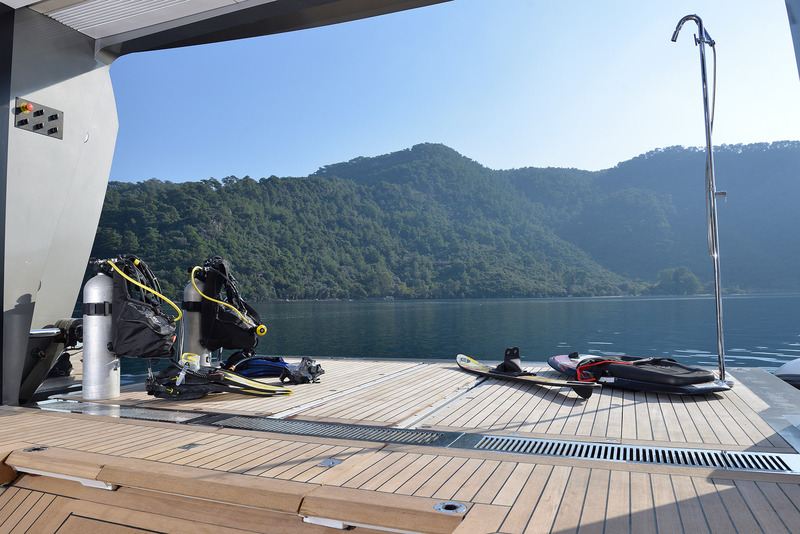 The crew of 7 will ensure that everyone on board has a relaxing and enjoyable journey.